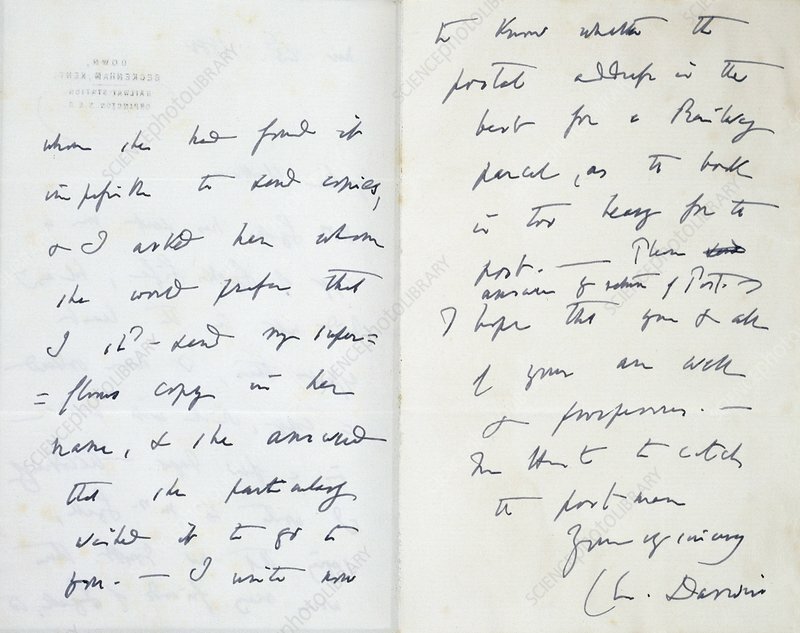 Letter from the British naturalist Charles Darwin (1809-1882) to the British naturalist Alfred Russel Wallace (1823-1913) dated 23rd November 1880. Wallace and Darwin's theories of evolution had been jointly published in 1858, and they corresponded regularly after that. Photograph from the Wallace collection in the General Library of The Natural History Museum, London, UK.